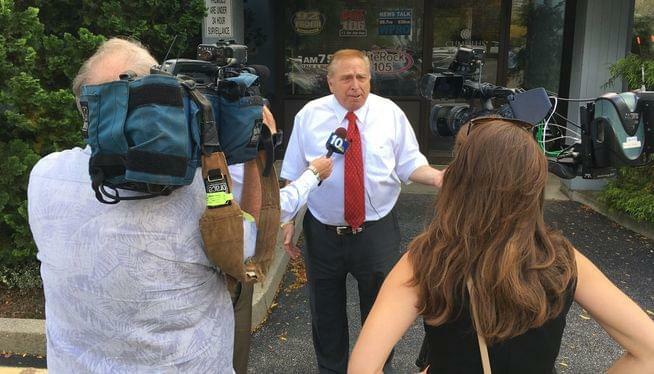 Following revelations that he was involved with an altercation with a then teenaged Speaker of the House Nicholas Mattiello 40 years ago, independent candidate for Governor Joe Trillo detailed a physical altercation that occurred about a decade ago with fellow Republican Larry Ehrhardt in an appearance on the Matt Allen Show Wednesday afternoon. Ehrhardt said the incident occurred in April of 2010 and that he did not come forward with the story. Earnhardt says his recollection differs somewhat. “We had words over this bill. We stood up from the table, I can be a little lighthearted at times. I was just looking at him and couldn’t resist the temptation. It was my thumb and forefinger, and I reached out and tweaked his nose. Joe started waving his arms back, and then we left the room.” Ehrhardt says he was bruised from the incident. Listen to "Former State Reps Joe Trillo and Larry Ehrhart detail altercation" on Spreaker.